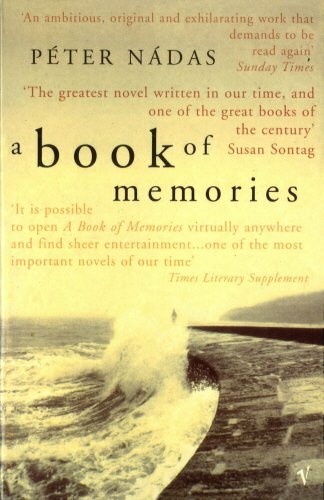 A Book of Memories is a novel within a novel. The outer shell of Hungarian author Peter Nadas's ambitious tale concerns a nameless Hungarian writer and his ménage à trois with an ageing actress and a younger man in East Germany. While the contemporary writer's own story unfolds, he is busily at work on an historical novel about a German novelist named Thomas Thoenissen. As if a novel about a novelist writing about a novelist wasn't confusing enough, the two fictional writers have a great deal in common, including an unnatural affection for their mothers and a predilection for bisexual triangles. Throw into this already heady brew a great deal cold-war politics, and it becomes obvious that A Book of Memories requires a serious commitment from the reader. Moving in time between the old Stalinist era and post-communist Eastern Europe, Peter Nadas convincingly conveys the effects of communism, both as it happened and as it collapsed. In his unnamed narrator he creates a perfect conduit between two times; the narrator grew up in a privileged communist family, the son of the state prosecutor in a Stalinist regime. In chronicling the boy's passage from child to man, Nadas paints a vivid portrait of the secrecy, fear and tension in a society in which the personal and the political are often one and the same.